The NYSF family consists of over 12,000 alumni, many of whom continue to give back to NYSF by various means including assisting at our events, returning as Student Staff Leaders, mentoring new alumni, hosting lab visits, donating and so much more! NYSF alumni are also our best advocates, having attended the Year 12 Program they are able to share their own experiences and insights with others. 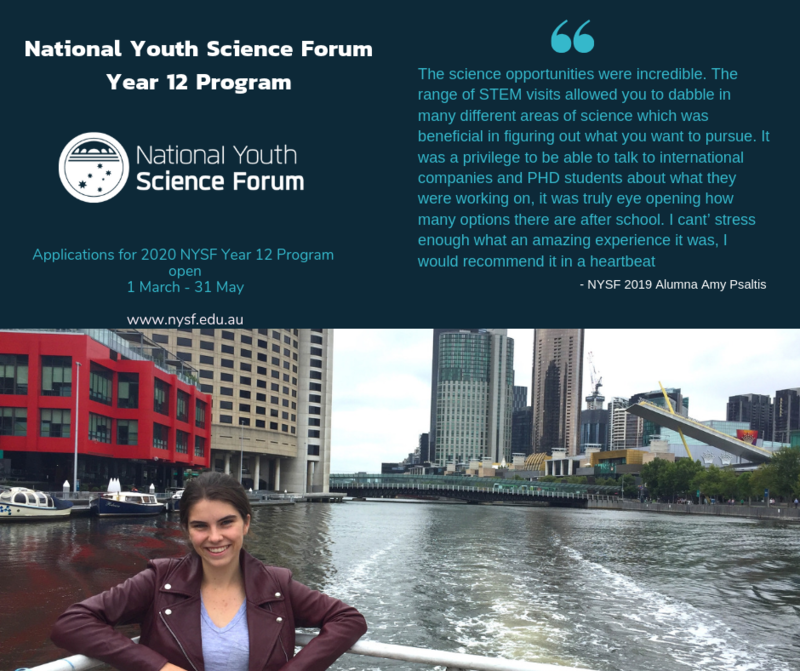 Amy Psaltis from Lane Cove North attended the 2019 NYSF Year 12 Program following a recommendation from a family friend and NYSF alumna.